Sandra is the firm’s HR Manager. She has over 25 years working in Human Resources. She joined the Royal Australian Air Force in 1988 and worked in various HR roles over 12 years. After leaving the RAAF in 2000 Sandra joined CRS Australia, a Federal Government where she led the Recruitment Team. In 2007, Sandra was the first HR Manager at InfoHRM a HR consulting firm. In 2011, Sandra moved to Pitcher Partners in Brisbane to set up their HR practice and on deciding to move home to Perth in August 2014, Sandra transferred to Pitcher Partners Perth. Sandra’s strength is in establishing HR best practice processes and procedures in small to medium sized businesses. Outside of work Sandra’s passion is in making a difference for sick children. Sandra joined Radio Lollipop in Brisbane as a ward visiting volunteer in 2000 and in 2008 was appointed to the Radio Lollipop Australia Board of Directors a position she held until 2015. Sandra was awarded a Medal of the Order of Australia in the 2013 Australia Day Honours List for her volunteer work with Radio Lollipop. Since returning to Perth in 2014, Sandra has joined the Strategy and Revenue Committee for Camp Quality WA and later this year will become a volunteer and camp companion for Camp Quality WA. 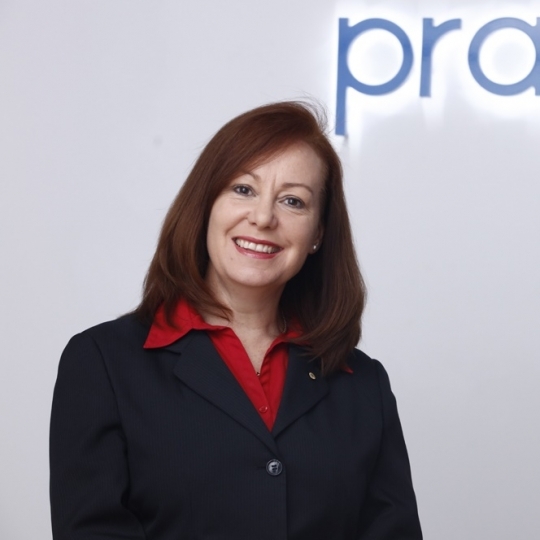 Sandra is a valued team member of Pragma. She assists management in selecting the best lawyers to join our staff to improve the service offering to our clients.